His first brewery didn’t survive, and Cilurzo went on to work at Russian River Brewing Co. in Guerneville, which was then owned by a winemaker. Eventually, he and his wife, Natalie, bought the brewery and moved it to Santa Rosa—and Blind Pig was resurrected as the IPA we know today. First released in 2005, Russian River’s version was not much changed from its earlier incarnation. “The Blind Pig we brew now is pretty close to what I brewed in the mid-’90s, but we now use a small amount of Amarillo and Simcoe in the brew—and it is less bitter than it once was,” Cilurzo says. Craft brewing was in nearly every way a market reaction to the bland flavors of industrially produced beer. But, for the first 15 years, individual breweries feared scaring customers away and so tried to lure them with quiet, dozing flavors of amber and wheat ales. When brewers like Cilurzo introduced the first IPAs of this kind, they were a slap to the face, a wake-up call to shake drinkers from their somnolence. All of this is important context, because any description of Blind Pig must acknowledge that slap and be understood in light of that earlier era of timidity. Blind Pig is not one of the hazy, juicy IPAs of 2016, but they couldn’t have existed without beers like it. Even the appearance is not modern; Blind Pig is a perfectly bright, fairly light golden ale (Cilurzo prides himself on “clean” beers, and that’s reflected in the clarity). The aroma is subtle by 2016 standards, composed of a gentle pine note and generic “hoppiness.” But if the look and smell of Blind Pig are benign, they belie what comes next. This is an IPA built to deliver a punch. The hops are sharp, almost cutting. The malt exists like a specter, barely present, and the palate is almost entirely bitterness, a sensation enhanced by the sting of pine. That flavor lingers and coats the tongue, leaving it sticky with pitch. 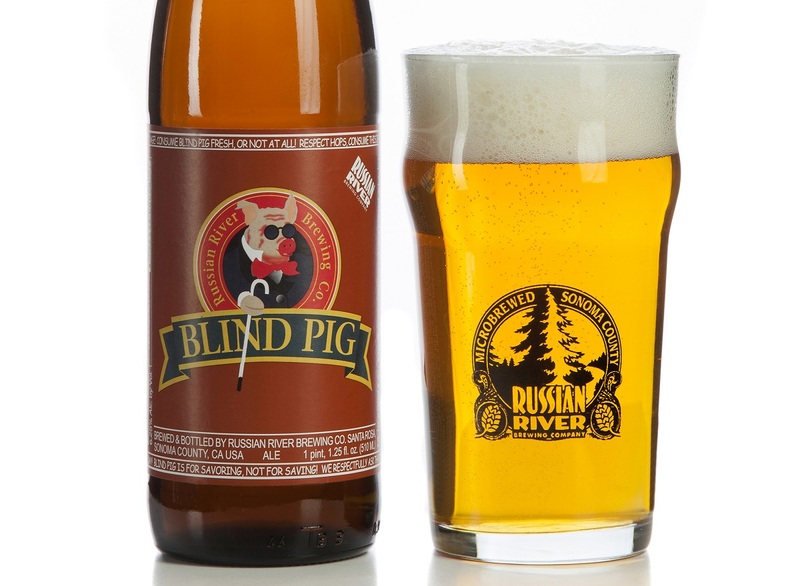 If Sierra Nevada Pale Ale launched an industry, Russian River’s Blind Pig set the industry on a course for uncharted waters. Modern IPAs exist at points further downstream from where Blind Pig first launched. We now favor lighter bitterness and prefer that the smack of intensity comes from the flavors and aromas of American hops. But we’re still after a bracing snap. The spirit of IPA carries on with that quality of intensity, and it animates everything we love (and sometimes hate) about craft beer. Blind Pig is one of the best examples of those early-era IPAs because it is sharp and clean, and, for its type, goes down easy. And if it is not quite modern, that’s all right, too; it’s good to be reminded from time to time of how we got here. Editor’s Note: An earlier version of this story identified the Blind Pig location in Temecula, California, as a brewpub. However, it was a brewery with a small tasting room and no food. The following beers were tasted by Jeff Alworth. 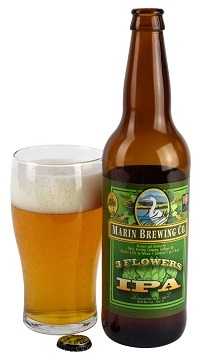 Tasting Notes: Marin’s offering is another IPA in the old tradition, but of a different template. Like Blind Pig, it has a slight aroma, bready and light citrus blossom, but it’s hazy in the glass, a clue to its thick, sweet body. Everything builds to a big finish with a rye spiciness and jagged Chinook hopping. The balance point, as was once common, combines intense hops with rich sweetness. 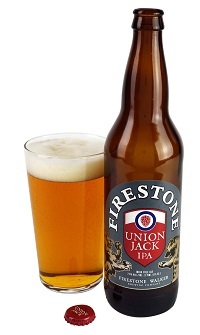 Tasting Notes: Like Russian River, Firestone Walker favors clarity, and Union Jack is a perfectly bright, deep gold. The hops, again subtle, are jammy and hint at orange marmalade. The orange note continues to the palate, which harmonizes with a sconelike malt note. For a moment you observe the delicacy of these elements, but then the hops come roaring in, all bitey and piney. Again, they’re Chinooks, the flavor of the early 2000s. 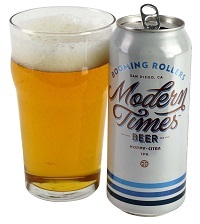 Tasting Notes: In Booming Rollers, one apprehends how we got from the ’90s to today. It has the shimmery haze of modern IPAs and wafts substantial tropical fruit (lime, mango, and lychee). It’s a softer beer all around, beginning with fluffy malts and lower carbonation, which enhances creaminess. The hops shift a bit on the palate, producing peach and green tea flavors, and build to a powerful pop as they’re saying goodbye, reminding you of that earlier era of bitter IPAs.